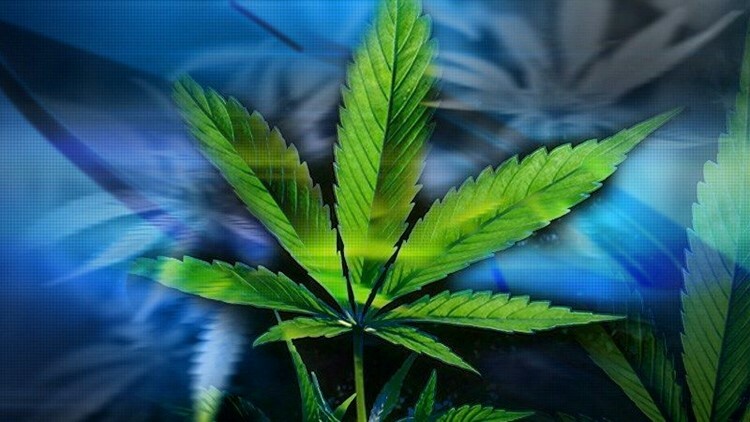 SAN DIEGO (CNS) - Two days before the "weed holiday," narcotics detectives from the San Diego Police Department raided an illegal marijuana dispensary in the Midway District for the second time in the past three months, seizing drugs and cash and arresting two employees, authorities said Friday. During Wednesday's raid of the Cannabis Sanctuary at 3434 Midway Drive, the police department's narcotics unit seized 1 1/2 pounds of high-grade marijuana, concentrates and edibles and $1,300 in cash, Lt. Matt Novak said. Narcotics officers also served a search warrant at the location on Feb. 1, when it was known as the Sacred Source Sanctuary. February's raid yielded seven pounds of marijuana, $1,200 in cash and a .45-caliber handgun, Novak said. Five employees were arrested that day and cited for possession of marijuana for sale and operating a business without a permit. "After the first search warrant, the dispensary changed names and continued to operate in defiance of local and state laws," the lieutenant said. The owners of Cannabis Sanctuary were not at the business Wednesday "but will also be charged," Novak said. The two employees were arrested on suspicion of possession of marijuana for sale and operating a business without a permit. Despite recreational marijuana becoming legal at the start of this year, police and the San Diego City Attorney's Office continue to crack down on dispensaries that operate illegally without the proper licenses and permits from the state. "All owners and employees found operating these illegal businesses will be arrested and prosecuted," Novak warned. "Reopening of any of these illegal businesses will result in additional enforcement, seizures, arrests, charges and penalties."